Here is the finished nose cone. 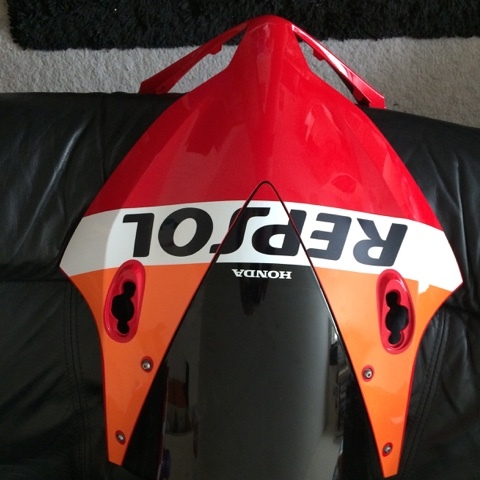 It started off life as an Anniversary version but removed the sticker and replaced it with the repsol version. 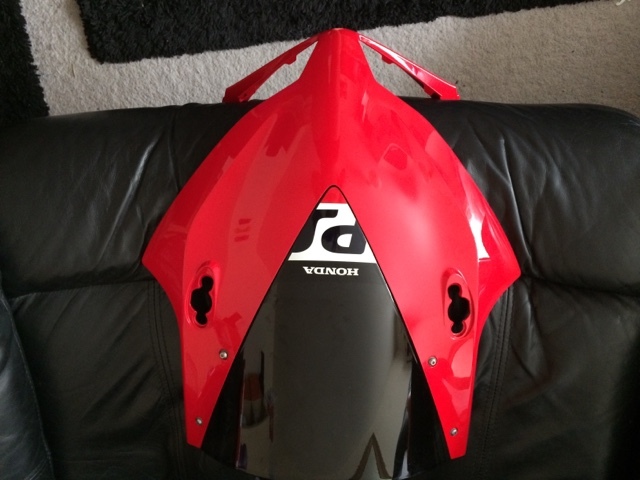 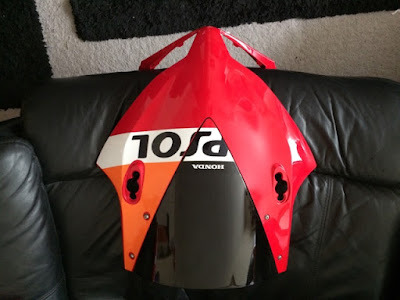 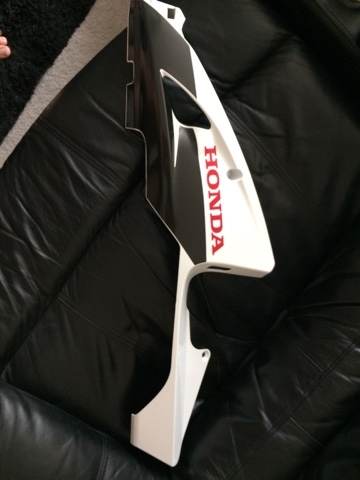 I also obtained an SP lower fairing that was also given the Repsol treatment too.